The German regulator’s review of the lender’s Libor affairs has accused outgoing co-CEO Anshu Jain of lying. Jain rejects the allegation as baseless, says Deutsche. But the resulting tension would have made it difficult for him to stay on. Anshu Jain, co-CEO of Deutsche Bank AG, walks past the bank's logo during a shareholders meeting in Frankfurt May 22, 2014. Deutsche Bank’s co-Chief Executive Anshu Jain may have “knowingly made inaccurate statements” to Germany’s Bundesbank during investigations into manipulation of the interbank rate-setting process, the Financial Times reported on June 26, citing a confidential report from German regulator Bafin. Bafin and the Bundesbank each declined to comment to Breakingviews. 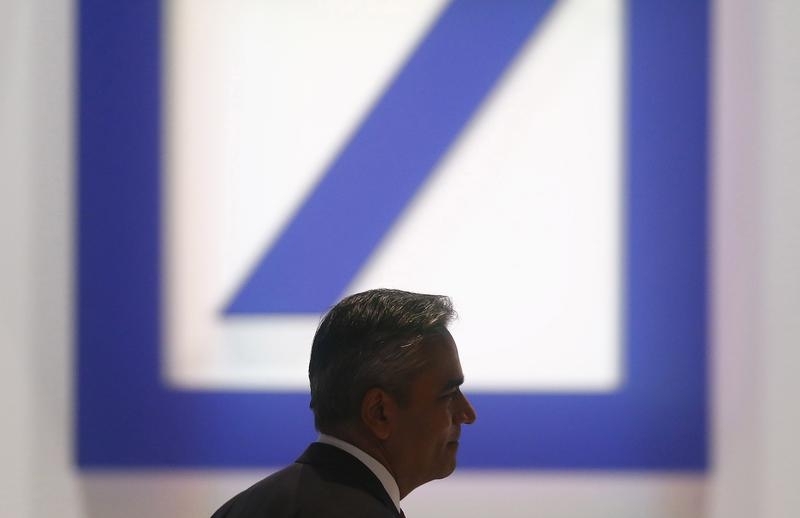 Deutsche Bank told Breakingviews that Jain disputed as baseless the allegation that he misled the Bundesbank in a 2012 interview. Jain is alleged to have told the central bank he had no knowledge of rumours of possible rigging in 2008, but concurrent emails about a meeting on the subject were forwarded to him at the time, according to the Financial Times.